Athens, Ga. – University of Georgia Regents’ Professor Michael R. Strand has received one of the highest honors a scientist can receive-election to the National Academy of Sciences. Strand, who holds an appointment in the entomology department of the College of Agricultural and Environmental Sciences and an affiliated appointment in the genetics department of the Franklin College of Arts and Sciences, is UGA’s eighth member of the National Academies, which include the National Academy of Sciences, National Academy of Engineering and National Academy of Medicine. Strand’s primary research interests are in the study of the interactions among insects, parasites and microorganisms. Applications of his work focus on insects that are important to agriculture and that transmit human diseases such as malaria and Zika virus. His work has garnered nearly $28 million in external funding from agencies such as the National Institutes of Health, U.S. Department of Agriculture and National Science Foundation. 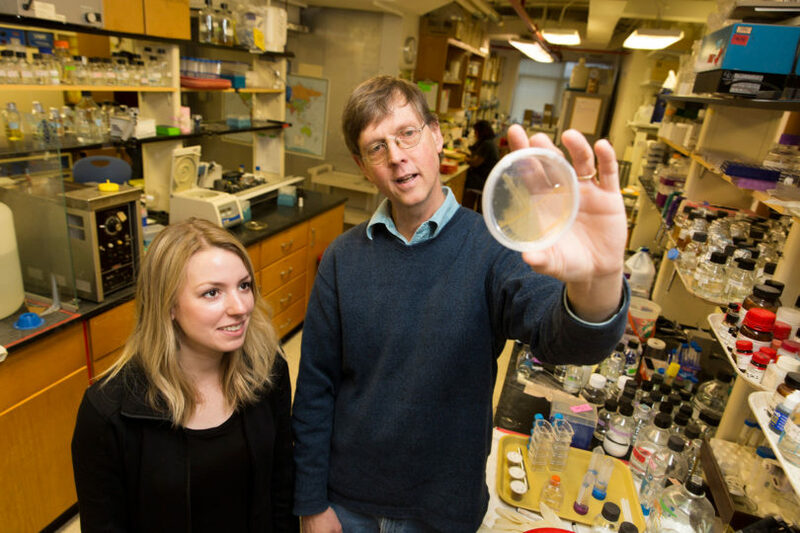 He has published more than 220 research papers, and his findings have been cited at a level that places him in the top 1 percent of entomologists and among the top 5 percent in the fields of biology and biochemistry. Strand’s expertise is sought around the globe. He has delivered invited seminars and symposia in nearly every department of entomology in the United States and at universities and conferences in Europe, Asia, South America, Africa, and Australia. In Athens, he has taught undergraduate survey courses in entomology and has mentored more than 50 doctoral students and postdoctoral fellows who have gone on to careers in government, industry and academia. Strand has earned several honors over the course of his career, including being named a Fellow of the American Association for the Advancement of Science and of the Entomological Society of America. In 2013, he was named Regents’ Professor, an honor bestowed by the Board of Regents of the University System of Georgia to distinguished faculty whose scholarship or creative activity is recognized both nationally and internationally as innovative and pace setting. He joined the UGA faculty in 2001 and is a member of the university’s Center for Tropical and Emerging Global Diseases and its Faculty of Infectious Diseases. He earned his bachelor’s degree and Ph.D. from Texas A&M University and was a postdoctoral researcher at Imperial College London. The National Academy of Sciences is a private, nonprofit institution that was established under a congressional charter signed by President Abraham Lincoln in 1863. It recognizes achievement in science by election to membership, and-with the National Academy of Engineering and the National Academy of Medicine-provides science, engineering and health policy advice to the federal government and other organizations.